Sites found in the NORTH are located in the area including and north of the Jezreel and Harod Valleys. 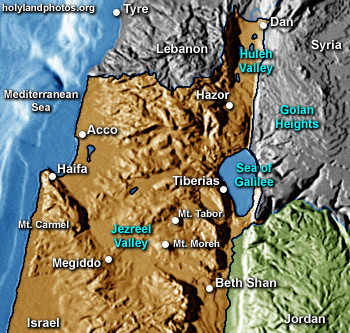 Regions included are: the Golan Heights; Huleh Valley; Upper Galilee; Plain of Acco; Lower Galilee; Sea of Galilee; Jezreel Valley and the Harod Valley. Click on the left navigation column.